If you do not have any meetings set up, you can create a meeting from your Today page. 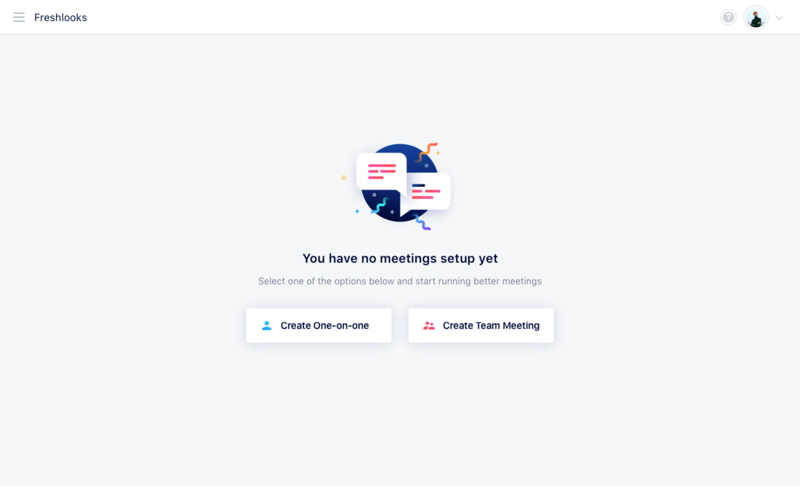 To set up a new One-on-One, Team Meeting or Discussion at any time, click the create button at the bottom of your sidebar and follow the flow to invite user and set your meeting schedule. Here is what users will see when you invite them to SoapBox on the Web.